The excise duty levied on vehicles engine capacity less than 1000cc had been revised from today, the Finance Ministry said. Accordingly, Import Duty on vehicles less than 1000cc had been increased up to Rs. 1.5 million and hybrid and electric vehicles less than 1000cc up to Rs.1.25 mn. However, these tax amendments would not affect the letters of credit (LC) opened before August 1, 2018, and these new taxes are not applicable for vehicles cleared before 31st January 2019. Speaking to the Daily Mirror Vehicle Importers Association of Sri Lanka (VIASL) Chairman Ranjan Peiris said the price of petrol vehicles with engine capacity less than 1000cc would be increased by Rs. 3,50,000, while electric and hybrid vehicles less than 1000cc engine capacity would be increased by Rs.4,15,000. “Hybrid vehicles such as Suzuki Hustler, Suzuki Wagon R, Suzuki SpaciaC vehicles will be increased. Less than 1000cc petrol vehicles such as Suzuki Alto (Japan), Daihatsu Mira, Honda N-BOX, Honda N WGN (Wagon), Nissan Dayz and Toyota Pixis Epoch would be increased,” he said. Back to 3 wheelers again. Why not to 2 wheels or locally made Volxvagans? Yahapaalaya is for that! Whether we like it or not something will have to be done regarding the huge number of vehicles in use...our road network cannot handle it...if the growth in number of vehicled is not curbed over the next 5 year it is going to take more than an hour just to get from for example dehiwela to mt.lavinia....same elsewhere too...it is time to invest in public transportation urgently....bus, trains in addition to the light rail...also at some point 3- wheelers will have to be stopped completely too. The last only way to reduce traffic on the roads is to improve public transport. This government has done nothing in this field. They imported luxury cars for themselves in supplementary budget. The building highways to visit temples not build the economy. In summary we have a bunch of jokers and so are we to vote for jokers. They are not curtailing vehicle, instead they are restricting small vehicles and increasing the use of larger vehicles, which will make the traffic worse. If traffic is the problem, government should implement a system of having to buy a ticket to put the vehicle unto the road at congested times (like in other countries). Everyome needs to have a vehicle to use in an emergency. This is such a selfish statement. For traffic , only solution is to improve public transportation. It is everyone’s dream to have a car. Finance ministry officials are absurd. In other countries government give rebate to buy electric cars. Our country official do other way. Frogs in the well. In developed countries there are tax concessions for electric and hybrid cars. This shows the shortsighted policies of the government. The next election is very decisive. We need to vote for educated economists and engineers to run the country. The media need to take the lead and educate the general public, specially the ones in the villages. Most hilarious government of the modern era. Non of these cars can be imported to the country right now because of the new emission standard imposed by government. Jokers running the government . Time to put this gov out forever!!!! We are waiting for Volkswagen vehicles manufactured in srilanka..I am sure these vehicles would be duty free. A day dream! YAHAPALANAYA Govt. is counting the days. VolksWagen seems to be a scam to lend the land to private owner! Close associates of FM must have already opened L/C for the smaller cars. We are still pretty cheap compared to other countries. Anyway our public system is non existent hence we will continue to buy cars. And for those who say big capacity cars should be taxed more, it is already taxed highest. The big cars you mentioned! How many are on the road? And the revenue the govt gets from one compared to the thousands of smaller ones? Think a bit will ya? Before commenting. This government is incapable in handling anything properly in the economic front. 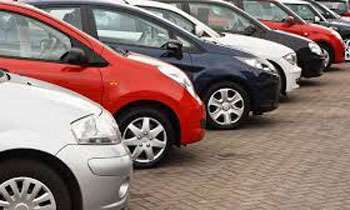 Allocate one permit to purchase a vehicle for every citizen with a driving licence. Additional permits to be taxed at 300%. This will reduce the number of vehicles on the roads. Companies also should be given an allocation based on their tax payments. Probably the only country in the world where a vehicle price is more than a land price. Government elected to serve the rich.. This is a country with a huge income disparity. We tend to talk about road traffic, but we have to remember that it is only relevant to urbs and suburbs. In remote areas, transportation is still being a compelling issue. The ones who wish to buy small size vehicles to facilitate their transportation, specifically in out station, will be really desperate with this tax revision. We have to have a wholistic approach to solve this problem instead of giving this type of petty solutions. Make cars cheap to buy but very expensive to run. Introduce toll fee when entering city, make the annual licence about 5 times, base the insurance according to driver skill levels (demerits for offensive driving) , introduce strict emmision testing and proper maintenance and most of all, ensure every car owner has his own parking space for overnight parking. This way the govt can make all cars tax free. All I could gather is that the 10 people who gave negative comments to my comment is the type who really don't need a car but have one parked outside in the road and even paying the annual insurance from 12 month instalment scheme. Good Luck to you 10. Hope you have a better future! Where is that girl who wanted a change in govt to afford a car? Does she even have the bike? Probably sold the permit and brought a small car and parks it on a public road cause her house does not have space for a car. So it is the sucking Government. They know where they can bleed from. Which car uses more foreign currency for fuel and spare parts and maintenance. Which cars damage the roads by their wide tyres? Those should be taxed. Not the middle class people. So your down fall is ready.Actually Maruti Alto is Sri Lanka Rs 5.6 lakhs. How much we pay for it? What a stupid scenario.Small cars are efficient on fuel so why increase tax?Stop giving multiple car permits to our useless ministers.They have enough black money collected from people like Arjun.How can a country develop when there are frauds like the bond scam,Previouse govt was no better!SL, GDP is less than the looted money by both govt's.How can a country develop specially when crooks are appointed as CB governors by both Govt's?Welcome to the 3rd world! Why tax increase for the vehicles less than 1000cc? Let it be the same or reduce it. Why can't the government increase the tax on luxury vehicles or at least to collect the tax systematically? Every time trying pass down the burden to middle and low income citizens. The increased exercise duty on small cars are unrealistic, no country in the world has this sort of unfair tax system. Especially, , cars with small engine capacity and electric cars must be given concessions as those cars are not a burden on the treasury. This implies that Sri Lanka is administered by a bunch of uneducated people who do not know the world. Look at the US, there are no taxes except sales tax of 7% that too in some some States only. Sad situation In Sri lanka,,,people are taxed,,they say no money to pay debts,,but salries of MPs to be increased and money tpo be wasted building a new International stadium in Galle,,,Kata Kiyandada mey pissuwa,,sad thing is no one proper to be elected,,earlier regime ruined the economy and people..,,this regime too ruining the people,,,where to go?? ?